For my son’s birthday party, the theme was angry birds!! I saw this idea on Pinterest and knew I wanted to do it for the party. It was perfect and so much fun for the kids. 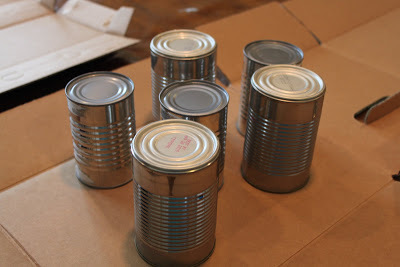 1) I got some regular cans, washed them and removed the label. 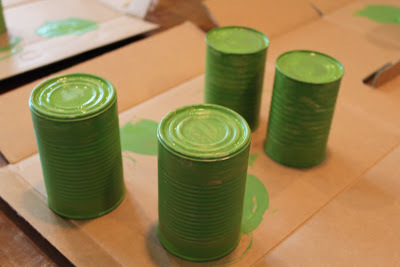 2) Next we painted them green. Here they are green. Spray paint would have been easier, I didn’t have any at the time though. 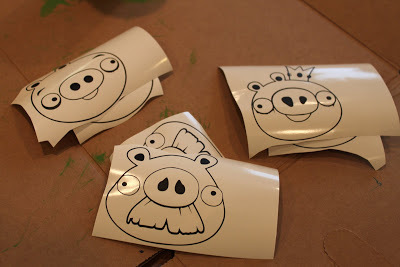 3) I cut out some pigs out of black Expressions Vinyl. I just used the pictures from my Angry Bird shirts. And just like that, it’s a fun game! I just used a plush bird that I bought at the store. The kids LOVED this game during the party. We even got some wood out and put the cans onto those. 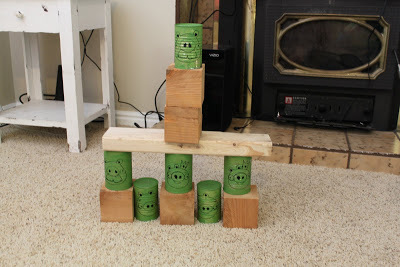 My six year old got super creative with building them! My boys liked it so much, they played for days after the party! Like what you see? Then follow along! Oh my gosh… my kids would think you were the coolest mom ever! We would love for you to share this at our link party! Take care! so fun! 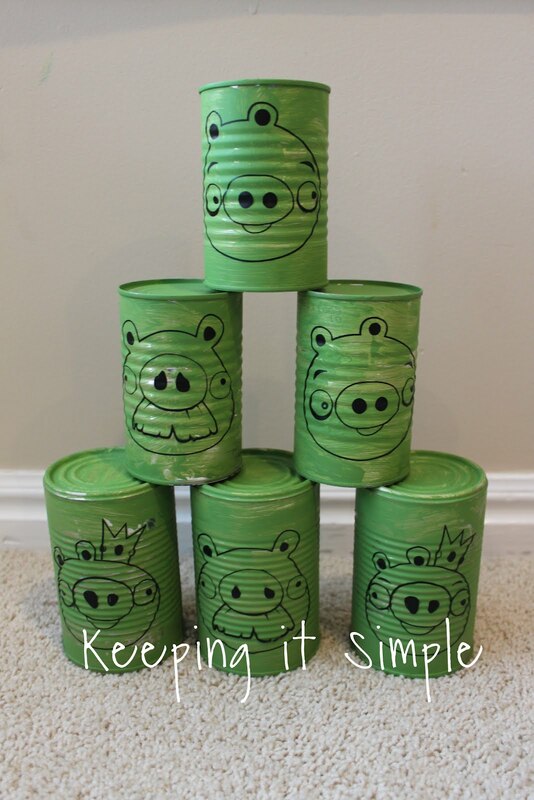 I love this idea… you could put anything the kids are into on the cans… love! What fun! My son loves angry birds, too. Filing this away for later. Thanks for sharing. You've got to be the coolest mom EVER!! This is so incredibly clever! 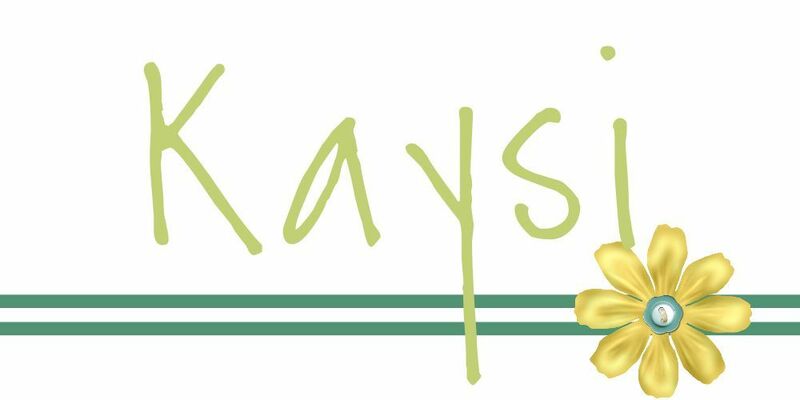 Love it Kaysi! How fun! And I didn't tell you before, but I really like your new blog colors! Super cute party game! I love your rug by the way. Can you share where it is from? 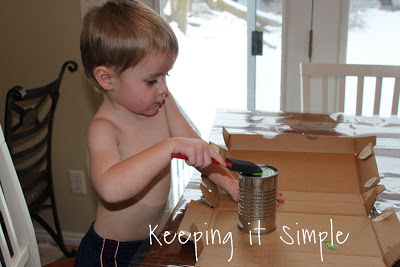 ooooh how FUN for the kiddos – soooo adding this to our activity to do list! So cute! 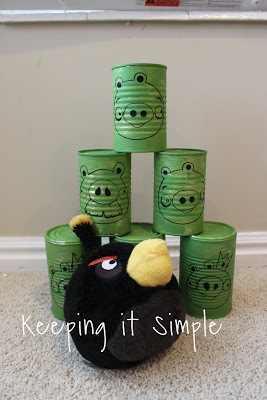 My kids are already talking about Angry Birds as the theme for their summer birthday parties. This will be a great game to play! Any chance you would be willing to share the file for this?? What a cool idea!!! looks like you have some "bird lovers" like me! check out my angry birds birthday cake, and cupcakes my 5 year old grandson and I made. I'm just grinning over how cute those cans are! I love this idea! So fun!! AI love this game. 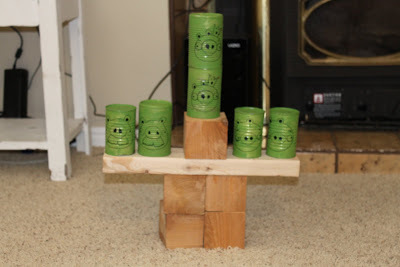 I'm going to let my grandkids make it, and then if we all get a different Angry Bird, we can choose which ones we use to try to knock down the pigs! I think it will be a great family game. I featured this on my blog for my Friday Friends! Come on over to By George You've Got It and check it out! Thanks for sharing your cute ideas. Ohhhh my gosh! How fun!! Hope you'll link this up at our new linky party! We feature our favorites each week! We're your newest followers and we'd love to have you link up and follow if you'd like! Very fun!! Pair this craft with some of those bird crafts and you are golden. Cute stuff! LOVE! I pinned it to my to do board! My boys would LOVE this!!! Grab your featured button if you like. Thanks for sharing! My kids love angry birds and we have a stuffed one. This is a lot simpler than painting each of the faces on the cans. Thanks! I found you via Sugar Bee Crafts. My girls and husband love Angry Birds! What a fun way to bring them to life! 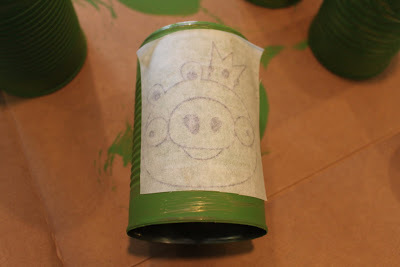 Thanks for linking up to Fun Stuff Fridays on Toys In The Dryer! How cute! 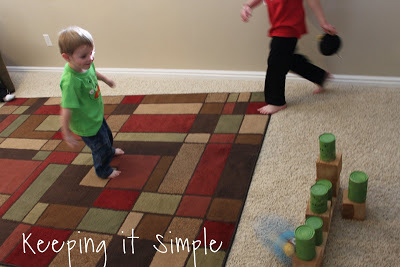 My kids would love this and it looks so easy! I will have to do this for them! This is great! My son loves angry birds!!! very nice!!!!! Ill gonna make this!! !